This book reminds me so much of The Wizard of Oz! It's a whimsical Victorian-style fairytale my new friend recommended to me, and I'm super pumped to start it. PLUS ISN'T THAT COVER SO GORGEOUS. I'd seen this book floating around the blogosphere a lot, but it didn't really capture my attention until I read Adi's stunning review of it. I've never even heard of a YA fiction with gender fluid representation before, so I'm immensely excited to read it. This is another one I'd seen around the blogosphere, but it wasn't until I read Anna's awesome review that I got interested. Before, I'd just dismissed it as a typical contemporary, but now it sounds really unique! This is the result of yet another awesome review by Adi that HAS ME SHIPPING ALREADY. Plus, just like Symptoms, the representation is making me very excite!!! I've been searching for some new poetry books recently, and this one Michelle recommended looks really good! 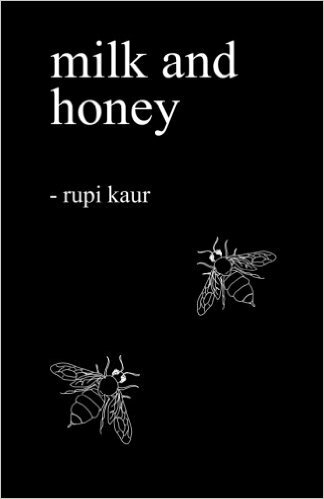 It's contemporary free verse poetry about heartbreak and healing, and although I usually don't go in for that sort of thing, I sneaked a peek at the contents on Amazon and the poems look amazing. After a friend mentioned this as being one of her current favorite books, I read the first chapter on Amazon and NOW I MUST FINISH IT. It's super good already! So, somehow I ended up with the majority of these being contemporaries? I have a massive TBR pile that I need to work through. The Hidden Sea books by A.M. Dellamonica are high up there, and so is The Secret Speech by Tom Rob Smith. It's so hard to decide what to pick up next when I've got about a billion options...gah. 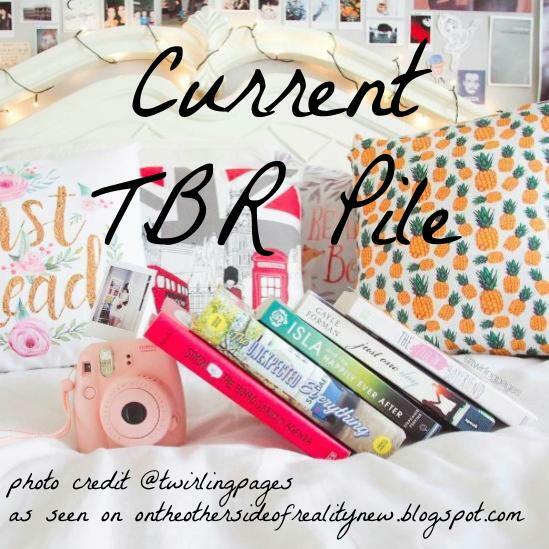 TBR anxiety should not be a thing. i'm not usually a contemporary person either, but this year i've found/read a lot of fantastic ones + i think i'm much more open to the genre now. 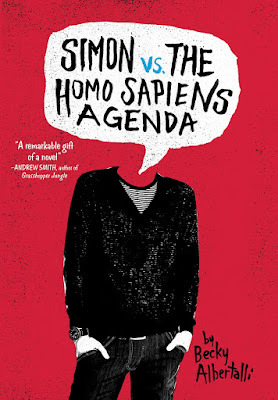 I LOVED Simon and the Homo Sapiens Agenda. It was such a lovely book and you'll completely fall in love with Simon... hopefully. Also, My Heart and Other Black Holes was really good one. Ahhh, now I'm even more excited to read them! 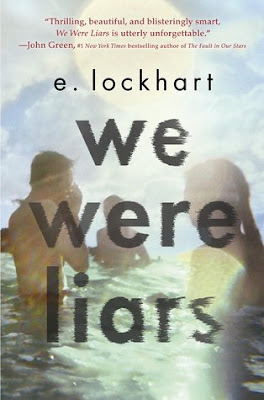 WE WERE LIARS *CUE FIRE WORKS* I FLUCKING LOVED THAT BOOK OKAY THERE'S A HUGE PLOT TWIST BE READY. 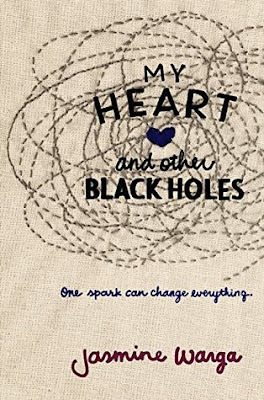 also i do like my heart and other black holes. depression books are fasinating for me. i'll have to check out the other books. :)) also i love contemporaries. OKAY I'LL BE ON HIGH ALERT. Now I'm doubly excited to read it! These all look like very good books. 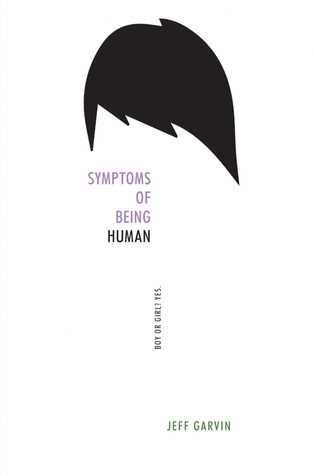 Symptoms of Being Human is one of my favorite books of all time. It has such good representation and I think you'll really like it. My current TBR is an advanced copy about a society where every seven years, everyone looses all their memories, told by the perspective of the one person who has never forgotten. thAT SOUNDS SO GOOD OMG. What's it called? These all look super great! 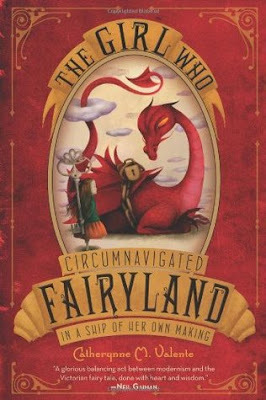 I have read the first one, The Girl Who Circumnavigated Fairyland in a Ship of Her Own Making, and really liked it! It is a weirder one for sure, but I enjoyed it all the same. Let me know what you think of it once you've read it! Super cool list. I love your blog. I've never read any of these... :P Hehe. Haha, that makes two of us! wow! That's quite the pile of books! I've been meaning to read My Heart and Other Black Holes. IKR I'M TERRIFIED TOO. Plus there are a few books from my last TBR pile post I still haven't gotten to. All of these look good, but the first one sounds particularly awesome. Ahhh, no, I don't. I wish xD The photo belongs to @twirlingpages on Instagram.